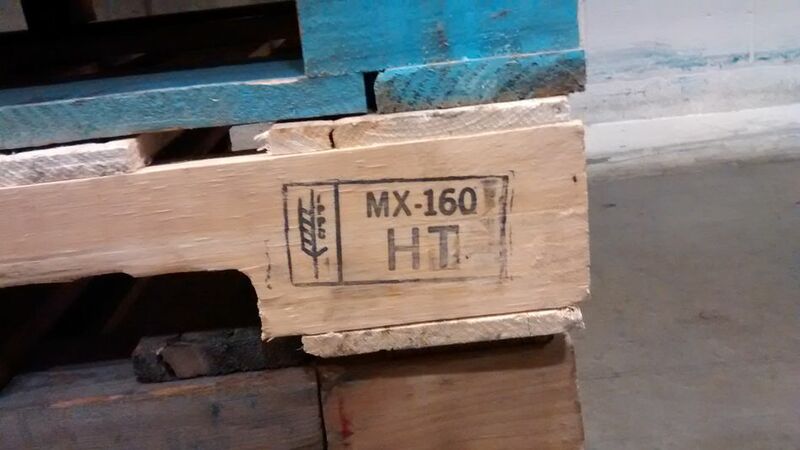 ​Is the price right when it comes to pallets? When it comes to pallets, how much should you pay? The answer is that it depends on a variety of factors. Pallet price can be impacted by material choice (wood, corrugated paper, plastic, metal, composite), new versus used, pay per use (rental) versus purchase, pallet size and quality, regional availability, and so on. By way of waiver, I must stress that the prices I am giving are only generalizations, and local pricing in your area is going to be impacted by variables such as those listed above. That being said, let's take a closer look. Wood pallets, accounting for roughly 95% of the market are easily the most popular choice when it comes to pallet selection. For a 48x40" new modified GMA pallet, recent pricing has been in the $11.25-12.50 range, according to Pallet Profile Weekly, depending upon the region of the country. A heavier duty block-style pallet such as used by pallet pools, pricing would be expected to be $25 or more. No. 2 recycled 48x40-inch pallets have recently been in the $4.25 -5.50 range while No. 1 recycled pallets recently have been priced in the $5.80-$7.40 range. Heat treated (HT) pallets can be $1 more for each. Aside from geographic considerations, such as lumber, pallet core or labor availability, shorter runs and custom sizes may increase pallet cost. As word of caution, fluctuations in material prices can have a bearing on pallet price, as typically over half the price of a pallet is in the wood and another 5 to 10 percent in the fasteners. Options to hold down price include choosing recycled or hybrid pallets (the latter a combination of new and recycled components) or considering a review of your pallet specification and application to see if another, perhaps cheaper to build pallet design could be employed, through such design software as Best Pallet or Pallet Design System. Work with your pallet supplier to explore options. Pricing for new plastic pallets can range from around $10 each for the cheapest expendable units (in truckload quantities) to the $80 range and even well over $100 for extremely durable, highly engineered models. The extremely popular twinsheet thermoform distribution pallet (more properly a skid) shown in the photo can range in the $30 to $40 range. Recycled plastic content or other fillers can help reduce cost. While costly, the durable pallet should last a long time and deliver a low cost per trip, as long as it is properly managed to avoid loss or theft. Due to the time and expense of tooling molds for plastic pallets, custom sizing may be an expensive alternative. Pallets constructed of extruded pallet components are a more obvious fit for custom sizing. Like wood pallets, they do not require an expensive mold. One example of an extruded plastic pallet manufacturer is Custom Built Plastic Pallets. Paper pallets are prized for their cleanliness, light weight, ease of recyclability when emptied and relatively low price point, typically only slightly higher than a similarly sized expendable wood pallet. Paper pallet size can be easily customized to the requirements of the buyer. Wood composite or presswood pallets typically have a price point competitive with recycled wood pallets, with benefits of not needing to be heat treated for international shipment, as well as having the benefits of nestability. Pricing for 48x40-inch presswood pallets starts from under $7.00. Presswood pallets are also available in several sizes, including popular quarter and half pallet models. Check out www.litco.com to see listed pricing for various sizes. Metal pallets include steel models, as well as more expensive aluminum and stainless steel in specialized applications such as clean rooms or food production environments. Rolled thin steel and mesh pallets typically sell at a lower price point, competitive with reusable plastic pallets. Aluminum and stainless steel pallets can range up to $200 or more. Container Exchanger includes pricing for metal, plastic and wood pallets. Pallet Enterprise alternative material pallet list, including some pallet price ranges.